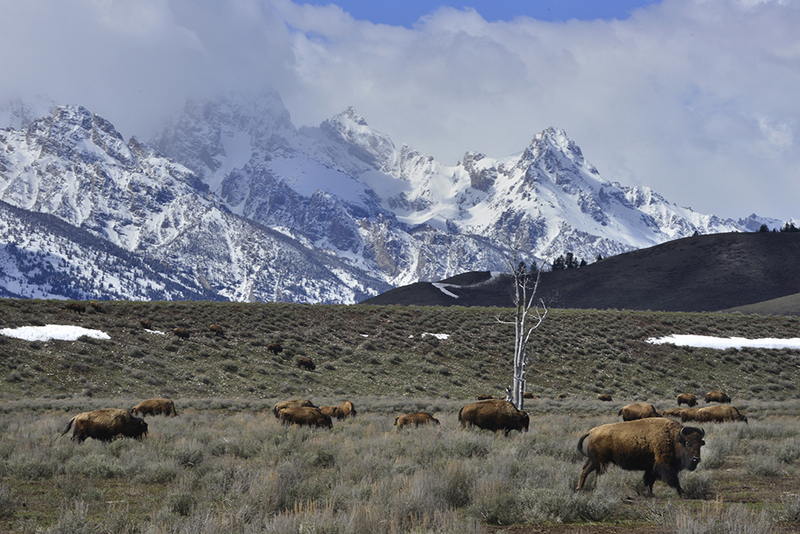 Yellowstone and Grand Teton National Parks sit atop of one of the most active geological regions in the world. Everywhere you look, every trail you take, reminds you of the forces responsible for shaping our planet; forces that are very much at work today. This altered universe is full of life and wonders; energies capable of destroying, create a paradise like no other. This photo-trip is designed to maximize your shooting time, placing you at the right places at the right time to see, photograph and experience what basically no one does. We start our days well before dawn when parks are empty and all the magic happens. 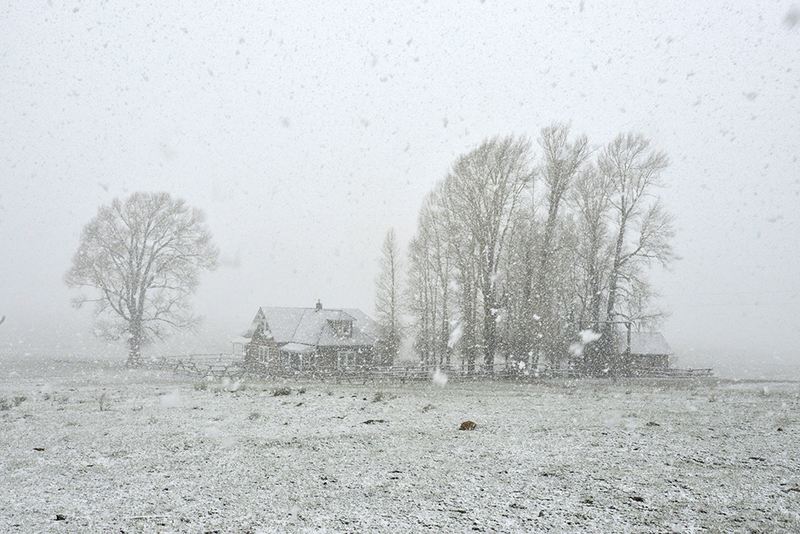 The weather is unpredictable and that is what guarantees great pictures. 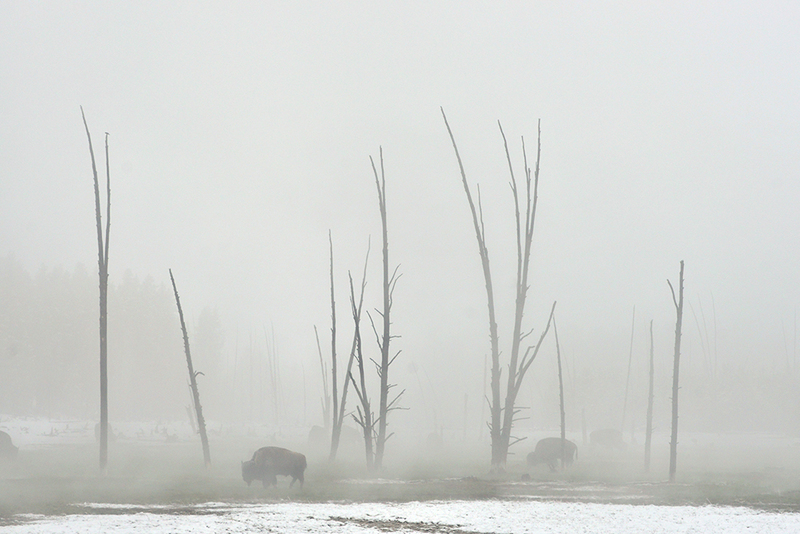 Fog, rain, snow, sun or clouds will be the perfect props for your imagery. 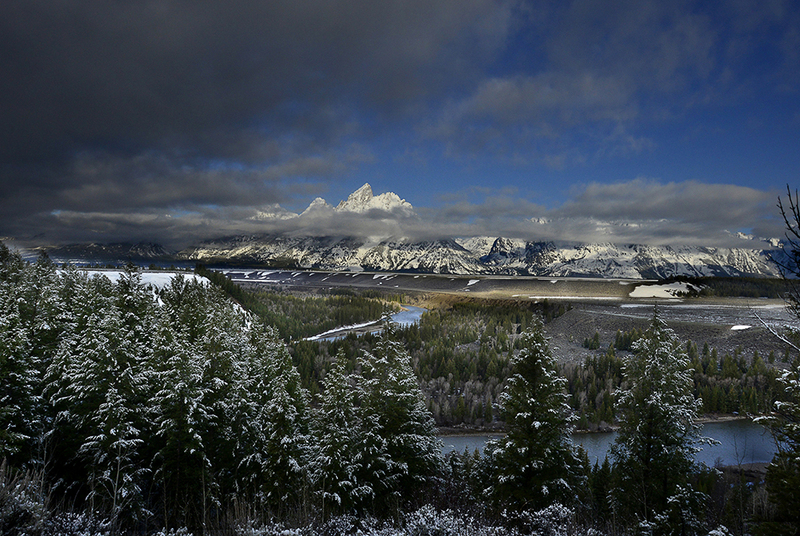 Yellowstone and the Grand Teton grow on you. Watching the sunrise light the glacier lakes with the sky-high mountains as the background is a heavenly experience. 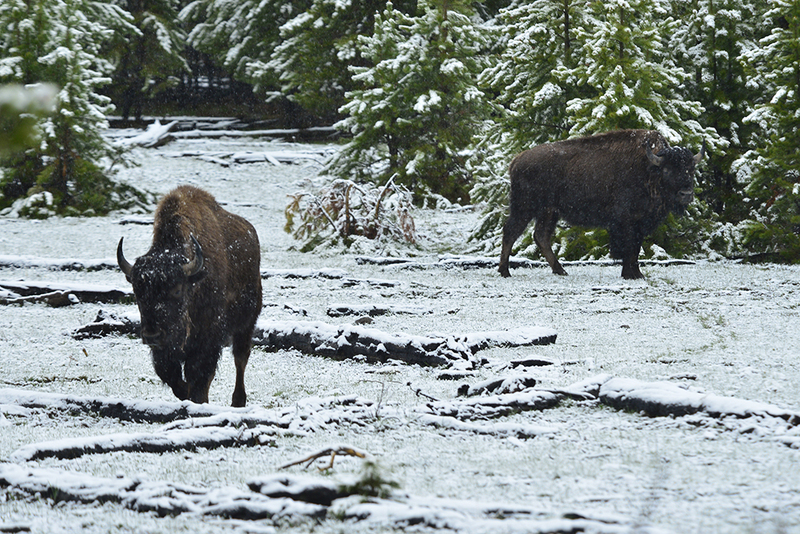 This is also the time of the great deer and bison migrations, so wildlife encounters are guaranteed. 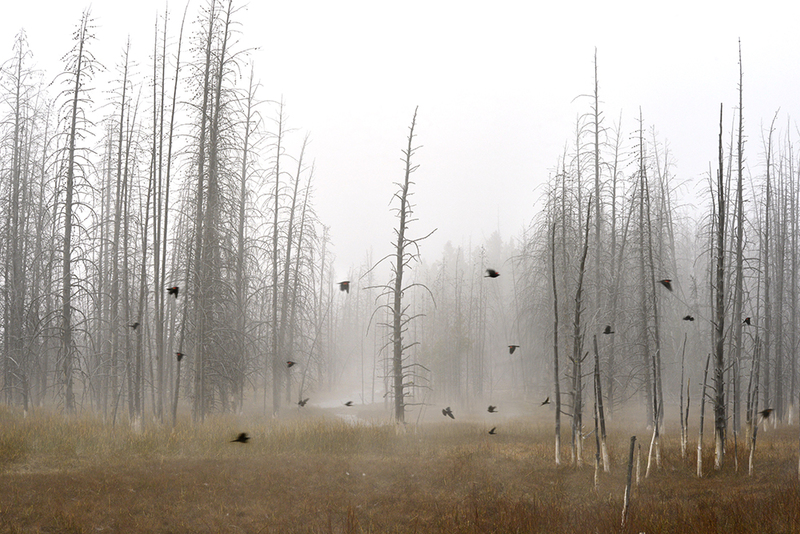 In Yellowstone, we photograph every single corner of the park; again, focusing on those sites that are unique for image making. 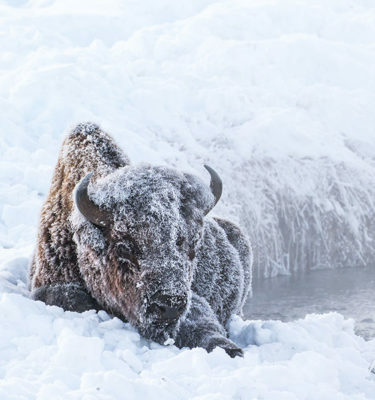 We will light paint geysers with a star studded sky as backdrop, we will photograph forests of dead trees covered in the pre-sunrise fog and join bison and deer as they wake up to the roar of steam vents and erupting geysers. I have studied every corner of this ecosystem and can promise you the best photography experience ever. In this corner of our planet, every minute is different, grandiose and spectacular. *Price is per person, single occupancy. Airfare from/to your home cities, airport transfer to the hotel, meals not listed above, alcohol, personal expenses, visas if required are not included. A deposit of $ 500 is required to reserve your space. This workshop is limited to 5 participants. Arrive in Jackson Hole, WY. Depart for Grand Teton National Park – rising above a scene rich with extraordinary wildlife, pristine lakes, and alpine terrain, the Teton Range stands monument to the people who fought to protect it. 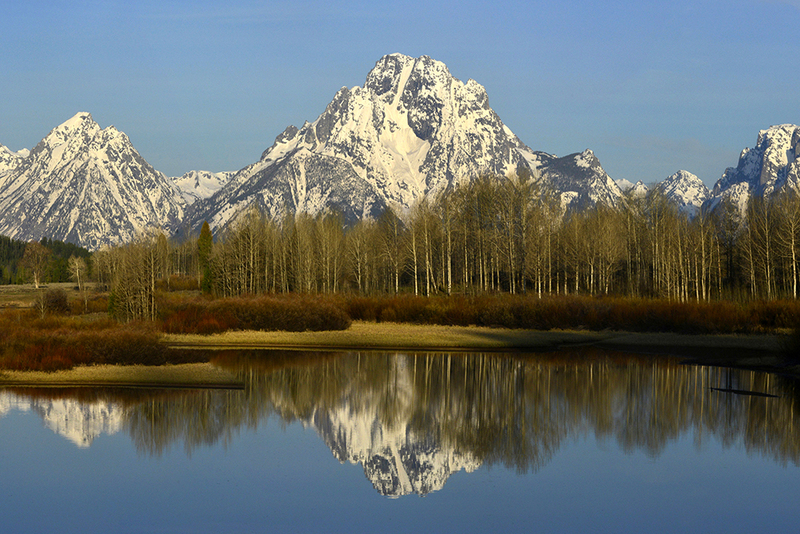 These are mountains of the imagination that lead to the creation of Grand Teton National Park where you can explore over two hundred miles of trails, float the Snake River or enjoy the serenity of this remarkable place. We have an early start, as we will photograph Jenny Lake and Mormon Row. After our first shoot, we will have breakfast. You will then have the opportunity to edit and rest. Right before we depart for our next photographic opportunity, you will have your photo critique. 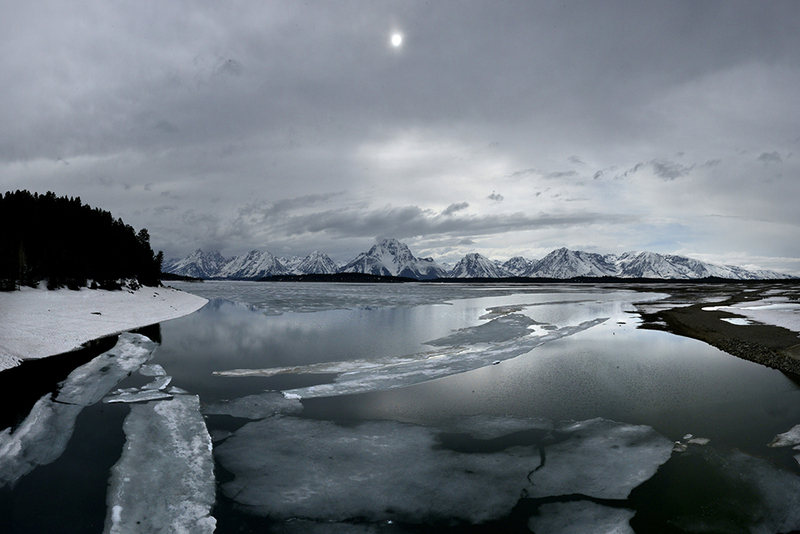 Right after, we depart for Grand Teton and photograph Oxbow Area. We return to town for dinner. We depart for Grand Teton National Park and will photograph Oxbow Bend followed by breakfast. You will then have the opportunity to edit and rest. Right before we depart for our next photographic opportunity, you will have your photo critique. 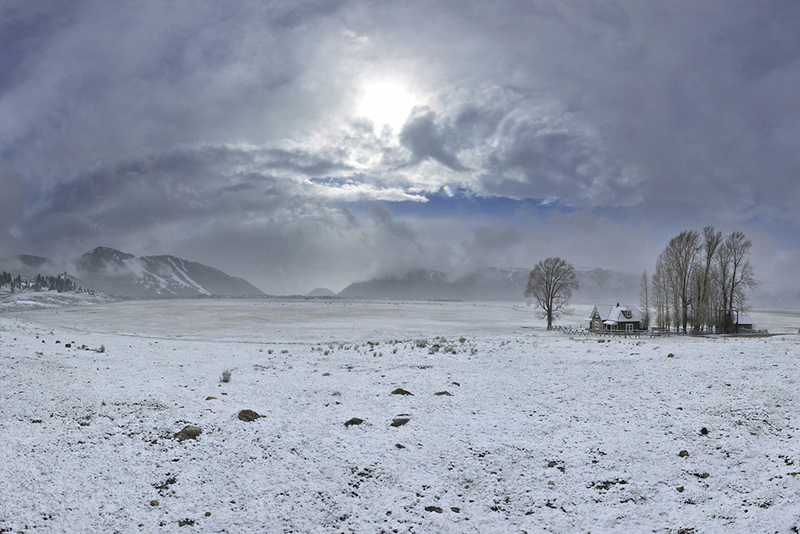 We then depart for Grand Teton and photograph Kelly-Mormon Row. We return to town for dinner. 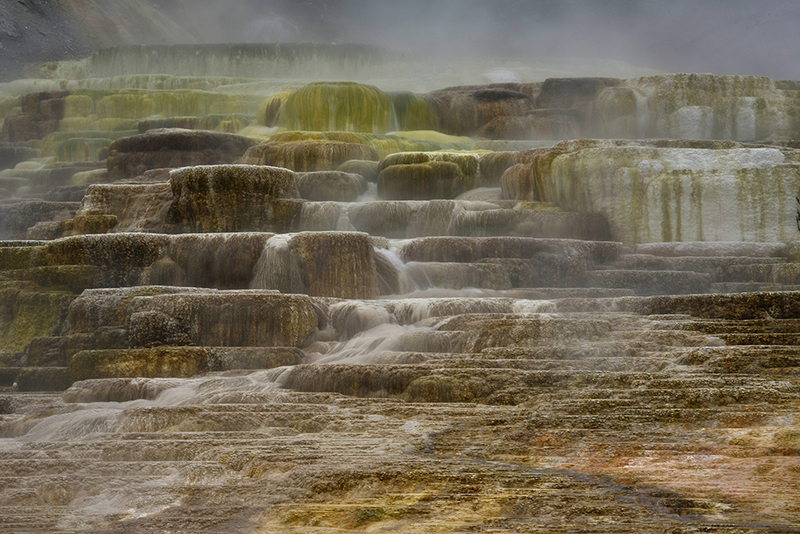 Depart for Yellowstone National Park to experience the world’s first national park where you will marvel at a volcano’s hidden power rising up in colorful hot springs, mud-pots, and geysers. You will explore mountains, forests, and lakes to watch wildlife and witness the drama of the natural world unfold. 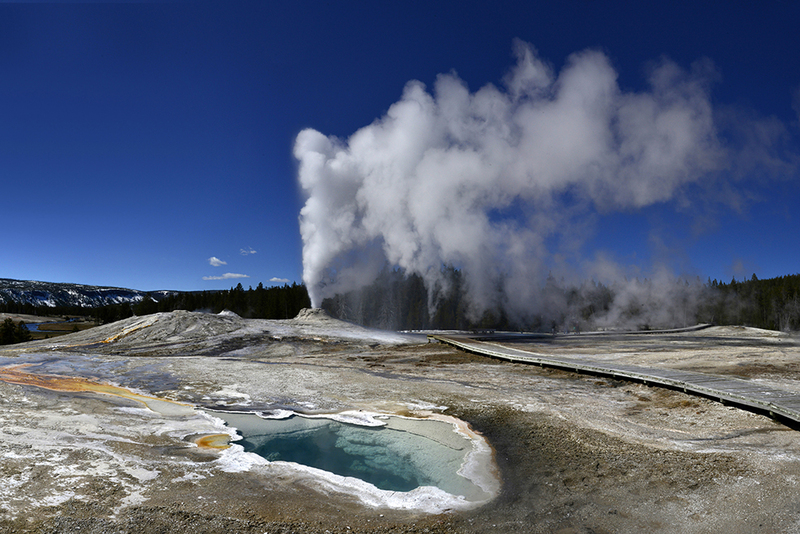 We will have lunch in the park and photograph in the Upper Geyser Area (Old Faithful). 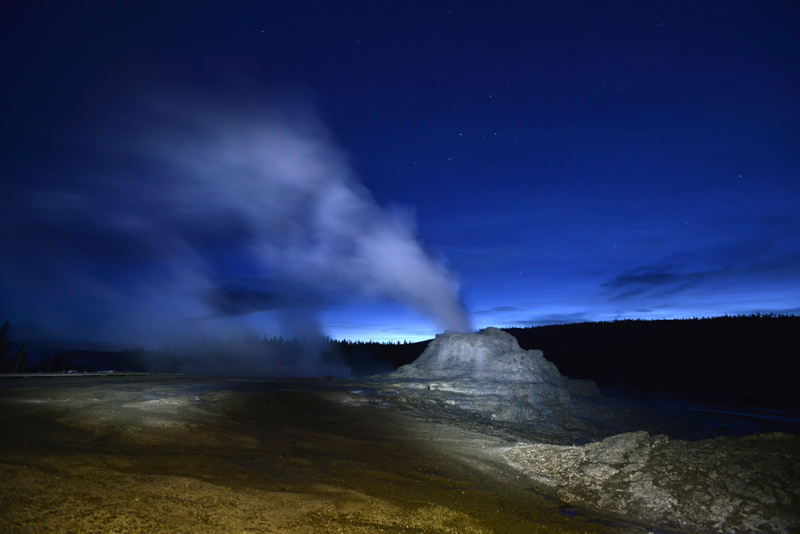 We have an early start, as we will photograph Upper Geyser (Castle Geyser Area) at sunrise. After this shoot, we will have breakfast. You will then have the opportunity to edit and rest. Right before we depart for our next photographic opportunity, you will have your photo critique. In the mid afternoon, we depart for Canyon Village, North Rim: Lookout Point, South Rim: Upper View/Artist. 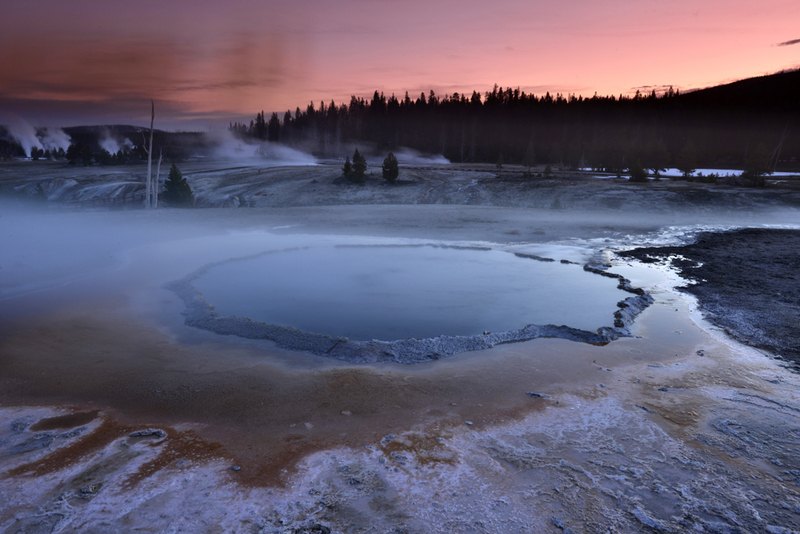 Depart for Yellowstone and photograph Midway Geyser at sunrise. After this shoot, we will have breakfast. You will then have the opportunity to edit and rest. Right before we depart for our next photographic opportunity, you will have your photo critique. 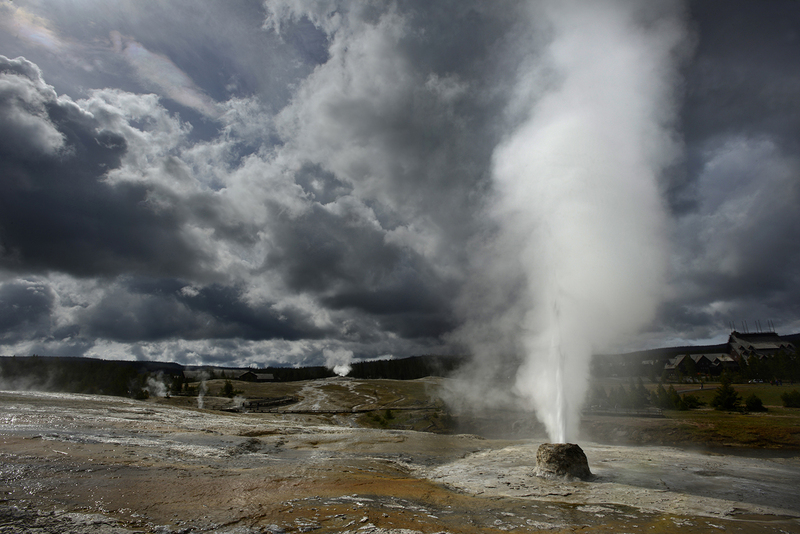 Depart for Yellowstone and photograph West Thumb Geyser area. 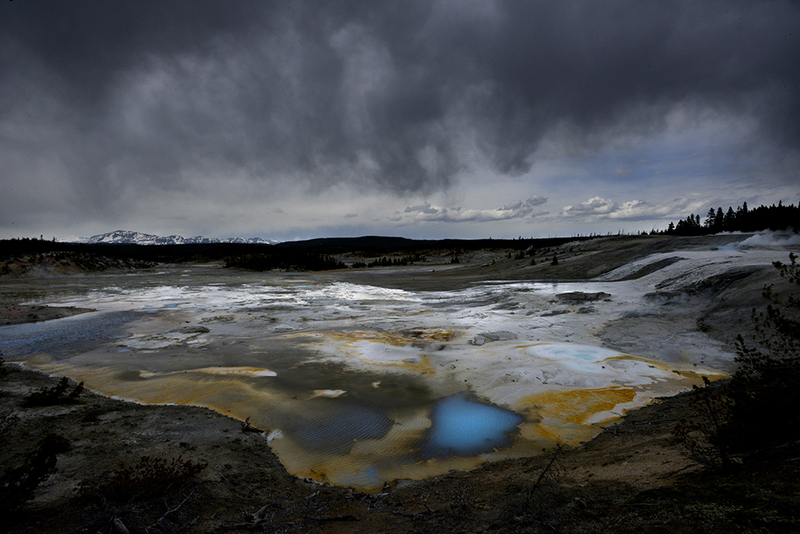 Early morning shoot at the Lower Geyser Basin. After this shoot, we will have breakfast, and have the opportunity to edit and rest. Right before we depart for our next photographic opportunity, you will have your photo critique. 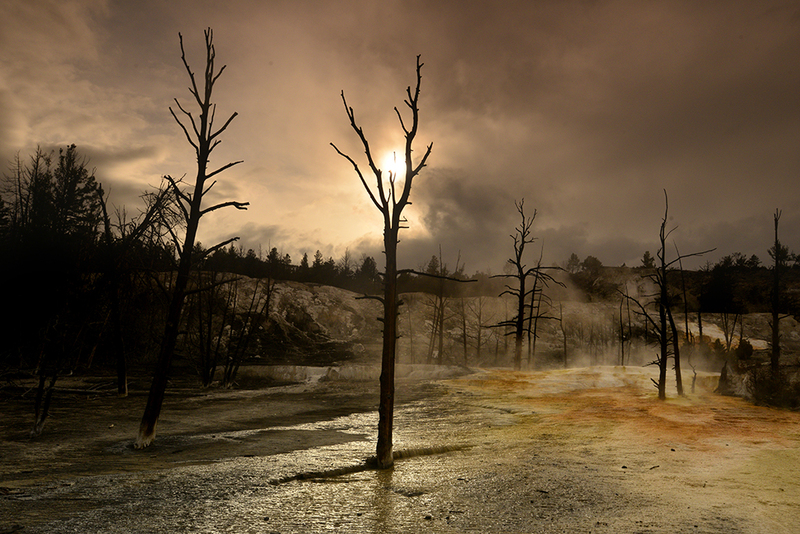 In the afternoon, we photograph the Mammoth Hot Springs area. Clients may pay for the workshop directly online or by check. If the client chooses to pay by check, click here to get more information. View the full workshop brochure online. Once you sign up, we will gladly provide you with the detailed itinerary! Client’s participation in the workshop is not guaranteed unless and until payment is received in full by Raul Touzon. Unless otherwise agreed below, workshops are non-transferable and non refundable. If you cancel, you will be refunded according to the following schedule, based on the full fee of the workshop. If requested more than 60 days from the start date of the workshop: full refund minus $250 fee. Please read the following document carefully. 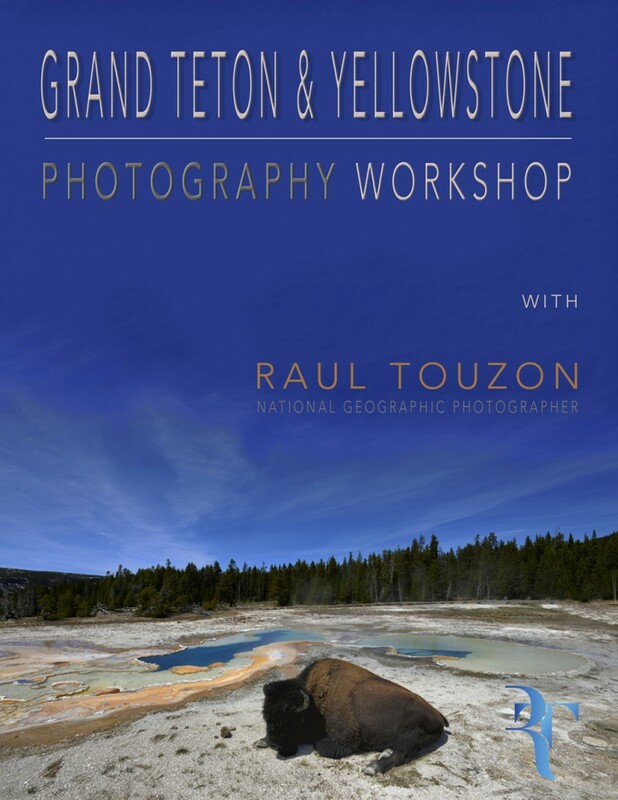 Each individual participating in a photography workshop conducted by Raul Touzon Photography must submit a signed copy of this form as part the registration process. Participants under 18 years of age must also include the signature of a parent or guardian. “The photographer” shall mean the organizer known as “Raul Touzon Photography”. “The client(s)” shall be those who attend the workshop. The information presented in this contract cannot be altered in any way by the client(s) unless such conditions are expressly agreed upon by Raul Touzon Photography and provided in writing prior to the commencement of the workshop. Health & safety: I am aware that the courses and activities related to the workshop in which I am participating present certain risks including, but not limited to, bodily injury, death, illness, loss or damage to personal property, and other safety-related dangers. I further understand that these outdoor photography courses in certain instances present inherent risks of personal injury or sickness, such as falling, falling rocks, getting lost, traveling in rough terrain, forces of nature such as lightning strikes, wild animals, absence of prompt medical attention, if needed, and travel by automobile or other conveyance. I understand these risks, recognize that these dangers cannot be eliminated, and acknowledge other dangers not mentioned may also exist. I understand the physical requirements of participation in these activities and affirm I meet these requirements, and that my physical and mental health is good, and that I am not under a doctor’s care for any condition that might endanger other participants or me. I understand that instructors may not possess the required training or equipment to handle incidents that may occur. In case of injury, accident, illness, or my inability to complete these activities, I will bear the full cost of any additional transportation or evacuation procedures performed by Raul Touzon Photography, its instructors or the national park services. Copyright & license: all photographs created by the client during the workshop remain the intellectual property of the client. The client retains full copyright of these images. Client images may be used to promote future workshops without compensation to Raul Touzon Photography or the client. Prices: prices for the workshops are available online and are non-negotiable. Amenities may vary for individual work- shops and it is the client’s responsibility to read the course details carefully. Airfare is not included in the workshop fees. Payments: you can make payments directly online or by check. We cannot guarantee your placement in a workshop unless we receive full payment. Unless specified, workshops are non-transferable. Cancellations will receive 100% refund minus a cancellation administration fee of $ 250. Cancellations made within 31 days to 60 days prior to the start of workshop dates, are entitled to a 50% refund based on the full tuition fee of the workshop. Cancellations made within a 30 days period prior to the start of a workshop will not be entitled to a refund. In the unlikely event a workshop cannot be conducted for reasons defined in item (6), the client will receive a 100% refund, or the choice of an alternative workshop of equal value. No further compensation is required. Refunds/cancellation by Raul Touzon Photography due to an insufficient number of participants: if insufficient bookings are made, Raul Touzon Photography reserves the right to cancel or postpone a workshop. Notice will be given to the client no less than 10 days prior to the workshop date. In this circumstance an alternate workshop of equal value, or 100% refund be offered to the client. 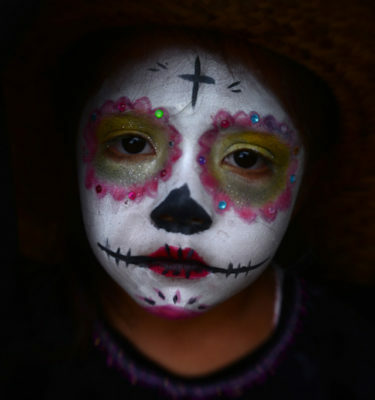 The due performance of the contract is subject to alteration or cancellation by Raul Touzon Photography owing to any cause beyond their reasonable control (e.g. sudden illness/injury/victim of crime). Raul Touzon Photography may substitute another photographer in the event that the assigned instructor is unable to attend the workshop due to such factors. However, it may prove difficult or impossible to find a skilled replacement at short notice. As explained in item (6), 100% refund, or an alternate course will be offered if no workshop can be performed. 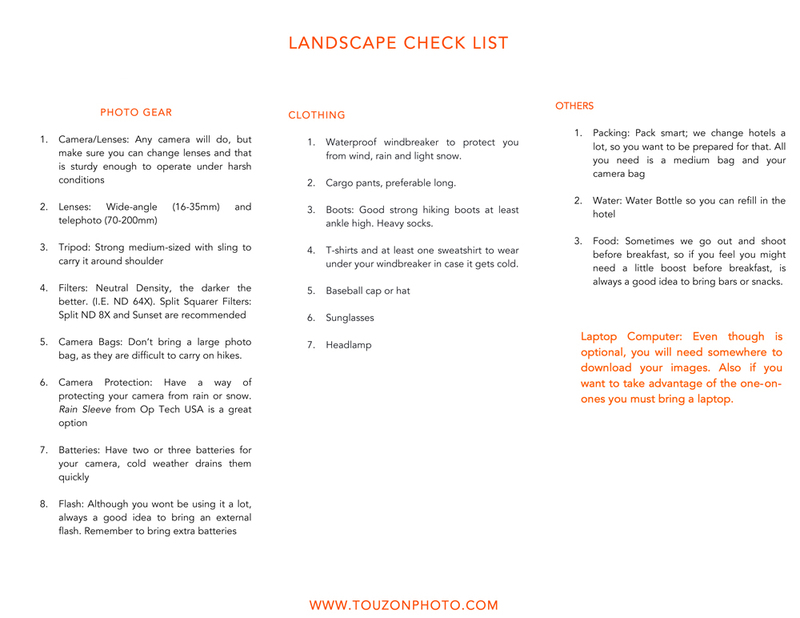 Valuables: all valuables belonging to the client including camera equipment are the clients’ responsibility. Raul Touzon Photography and its instructors cannot be held liable for any lost or damaged equipment (camera or other) while participating in a workshop. Complaints: any complaints regarding the workshop or its instructors must be made in writing within seven days of the workshop. All complaints will be taken seriously and acted upon accordingly. Logistics and accomodation: whenever possible, our trip participants are lodged in comfortable, modern hotels. We select among the best available accommodations, but refrain from extravagance. 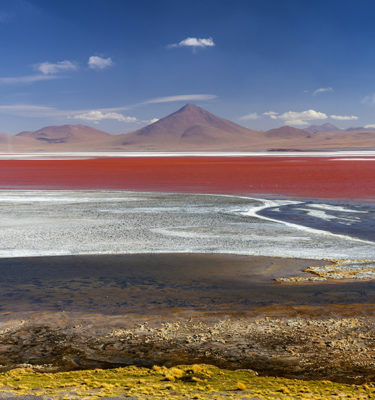 Some interesting photographic destinations are far removed from modern amenities. Our itinerary is intended as an example only. Participants should allow for flexibility due to changes in weather, natural history or cultural events, or other logistical arrangements deemed necessary by tour leader. Governing law: the laws of the state of Montana shall govern this agreement. Any notices required or permitted under this agreement shall be in writing and shall be deemed given if (I) delivered in person, (ii) sent by registered or certified mail, return receipt requested, with proper postage affixed, or (iii) sent by overnight mail service with confirmation of delivery. In the case of (I), notice shall be deemed effective upon delivery; in the case of (ii) and (iii), notice shall be deemed effective upon confirmation of receipt or delivery. Concealed weapons: in February 2010 the federal government lifted the ban on loaded and concealed weapons in our national parks. While we respect the rights of those who wish to carry firearms, Wild West photos will not allow individuals who participate in our workshops to carry firearms of any kind. If you have questions or concerns regarding this policy please contact us by phone or email prior to registration. Participation: I certify that I am voluntarily participating in these activities and assume all risks, consequences, and potential liability for this participation. I hereby release Raul Touzon Photography, its instructors, any landowner, employee of the landowner in which we hold the workshop, the us forest service, the national park service, and other land managers where these activities occur from any and all liability claims, causes of action, debts, and demands that may arise as a result of my participation in these activities. This document shall also serve as a release and assumption of risk for my heirs, personal representatives, executors, administrators, and members of my family. Raul Touzon Photography reserves the right to cancel or change activities without prior notice, and reserves the right to cancel the registration of any participant it determines fails to meet the requirements of these activities. Responsibility: Raul Touzon Photography act only as agents for the passenger in regards to travel including, but not limited to, sightseeing, meals, lodging, transportation, and all other services whether by railroad, motorcar, motor coach, boat, ship or aircraft and they assume no liability for injury, damage, loss, accident, delay or irregularity which may be occasioned either by reason of defect in any vehicle or for any reason whatsoever, or through the acts or default of any company or person engaged in conveying the passenger or in carrying out the arrangements of the trip. They can accept no responsibility for losses or additional expenses due to delay or changes in air or other services, sickness, weather, strike, war, quarantine or other causes. All such losses or expenses will have to be borne by the passenger, as trip fees provided are for arrangements only for the times and locations stated. Baggage is at the owner’s risk entirely. As a parent or guardian of the participant indicated above, I acknowledge reading this form and agree to all the provisions above. In addition to the above release and assumption of risk, I also give my permission for instructors, staff, volunteers, and emergency personnel to make necessary first aid decisions in the event of an accident, injury, or illness to the above named participant.